You gotta join us live for our next Google+ Hangout, totally free of charge. Not only will you learn terrific techniques, but if you tune in live, you can be entered to win excellent prizes to help you in your work. (Note: MUST BE TUNED IN LIVE TO WIN). We’ll be giving away a copy of the Adobe Creative Cloud Photographer’s Plan… as well as Photomatix from HDRSoft. Plus you never know what else. We kick off Tuesday 8/25, 6:00pm Irish Standard Time, 1:00pm Eastern, 12:00pm Central, 11:00am Mountain, and 10:00am Pacific. 1:30pm in Newfoundland. RSVP here and it’ll show your local time. Lightroom has really revolutionized the way we make pictures, organize pictures, and share pictures. There’s one part that is little understood by many photographers, however, and that’s how to maximize the Web Module. We’re fortunate to be joined this month by Sean McCormack of www.Lightroom-Blog.com. He’s a marvelous teacher, and he’s going to instruct in the ways and means of the Web Module, so be sure to tune in Live! This episode will be useful for all levels of Lightroom users from beginner to advanced. Tune in Live to enter the raffles for some terrific prizes from our sponsors. We’ll see you here on Tuesday the 25th! Brought to you by Adobe, and Photoshop World. The video will broadcast live right here, and be embedded here forever; but if you want to ask questions and be entered for a prize, you’ve gotta go to the G+ page here. You can register for free here SIGN UP. To learn more about how Google Hangouts work, click here http://www.google.com/+/learnmore/hangouts/. 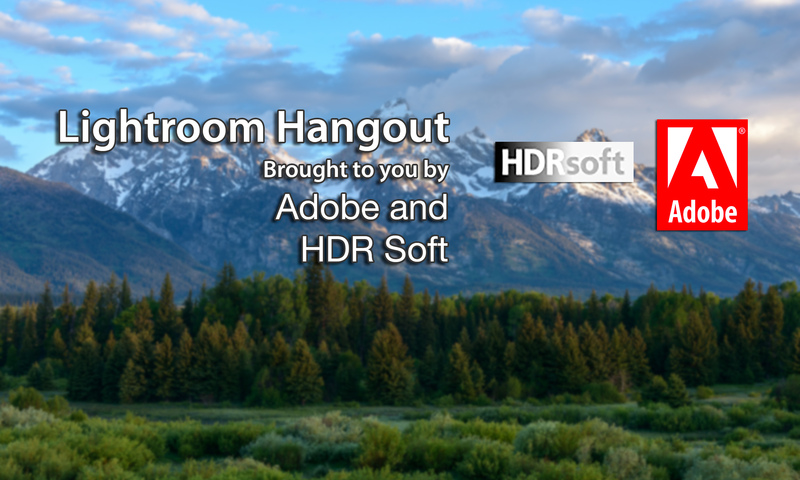 Joining the hangout will let you ask questions and chat with attendees. The video will also stream above in this post.